Well, I've gone and done it again. I got so excited about beautiful summer fruit and bought two pounds of strawberries. Then, I left them on the counter overnight, so I've gotta use them all up TODAY. 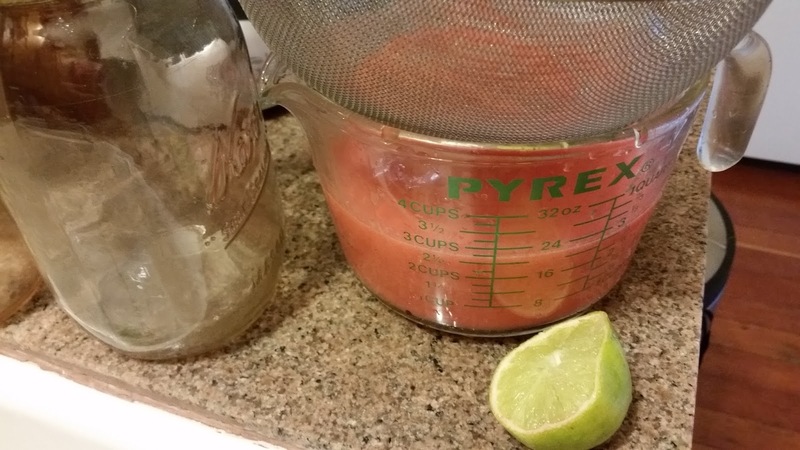 Most are going into a baking project, but I thought I'd try my hand at making a Mexican summer treat with the rest: Agua Fresca. If you have watermelon or mango on hand rather than strawberries, those also work really well. There's no booze in this, but there certainly could be if you felt like it. My apartment has these incredible big windows that provide lots of light! So much light, in fact, that most daytime photos taken here are backlit...but the light, views and fresh air more than make up for that little annoyance. Wash 2 cups or so of strawberries, then remove the stems and most of the white hull next to the stem. Cut in half and add to a blender with water to just cover, 1/4 cup of sugar, and the juice of one lime or lemon. 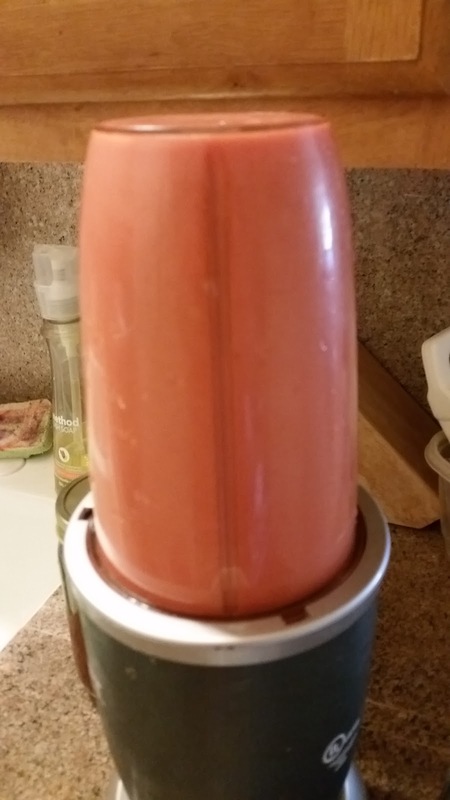 If you want to double the recipe and you have a big blender, great! If you have a little one like mine, just do it in two batches. Strain the blended fruit and water through a fine mesh strainer to remove any big parts and excess seeds. My extractor-type blender pulverized most of it, so very little stayed in the strainer. If you have an even fancier one, you may decide to skip this step. Pour into a large jar or pitcher. 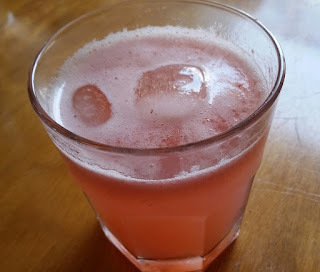 It's too thick right now, so to make it more of an Agua Fresca, add about two or three cups of cold water or a bunch of ice cubes to dilute it. 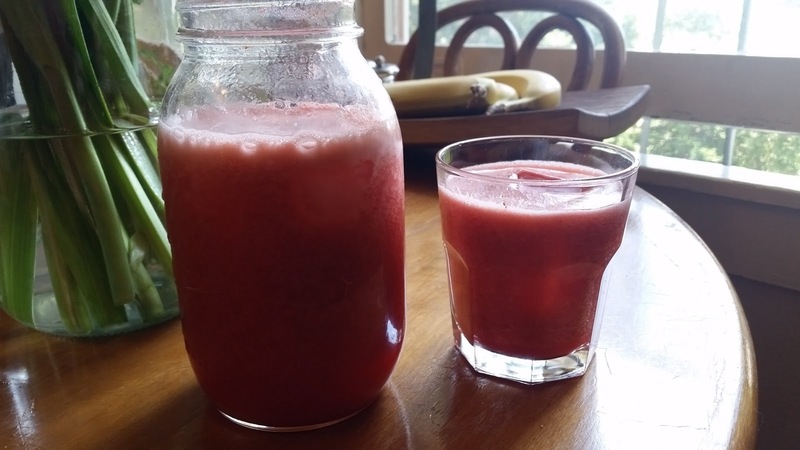 You can, of course, add more or less to taste, but you're aiming for more of a lemonade thickness than a smoothie thickness. Mix well and check the consistency until you have one that makes you happy. 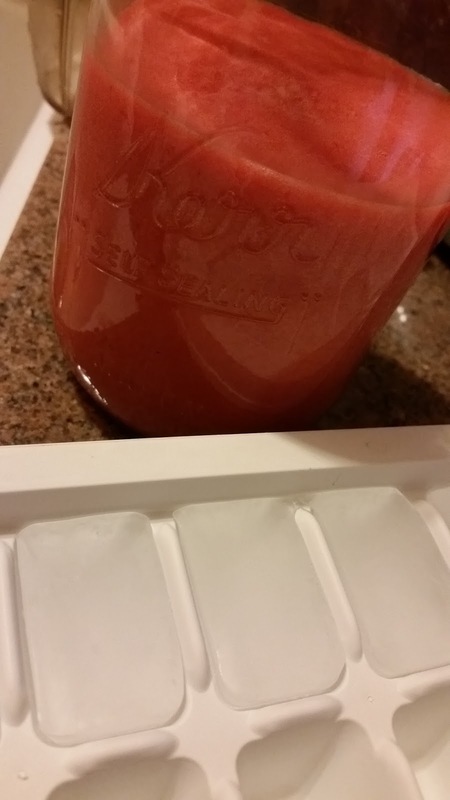 I'm going to leave it a little thick so I can add cold fizzy water when I'm ready to drink it. The final product should look about this color.